It refers to a groove or furrow on the outer cardiac surface that marks the point of division between the ventricles and the atria. 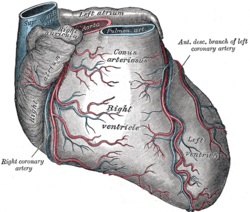 It is located between the left atrium and ventricle. It contains the trunks of the blood vessels that are known as the “nutrient vessels of the heart”. 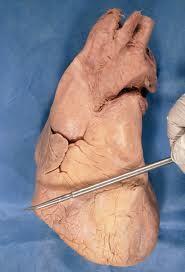 It comprises of veins and arteries that supply blood to the cardiac muscles and also carries it from them. It gives passage to the Coronary sinus, Coronary veins and Coronary arteries. Check out these useful images of this cardiac depression to know how it appears to view. HealthDiseases provides reliable information on diseases and health conditions. All the articles are written by health professionals in simple language for patients with limited health literacy. © 2019 Human Anatomy. All Rights Reserved.